Bright colors and layers that assemble with tabs make this a perfect crib to create with a child. Insert the Mother and Child piece into folded front side walls, insert front into manger slots — and your Christmas 2017 Crèche is assembled! 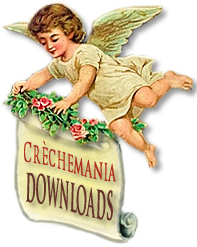 From the Crèchemania Collection, with Best Wishes for Christmas, comes this lovely crèche for you to print, cut out, and enjoy. You'll love the bright colors and the simple assembly. As you can see at left, the Christmas 2017 Crèche didn't really need Instructions, but here they are, just in case. 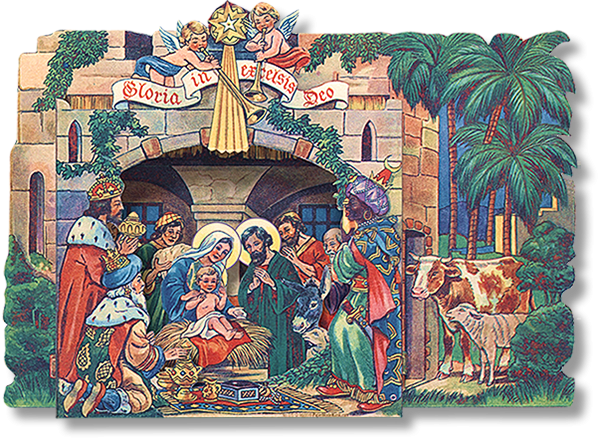 After printing and cutting, the Front side walls are scored as indicated by the dotted lines, the Mother and Child piece inserted, and the whole Front is then positioned by its tabs into the slots of the Manger. 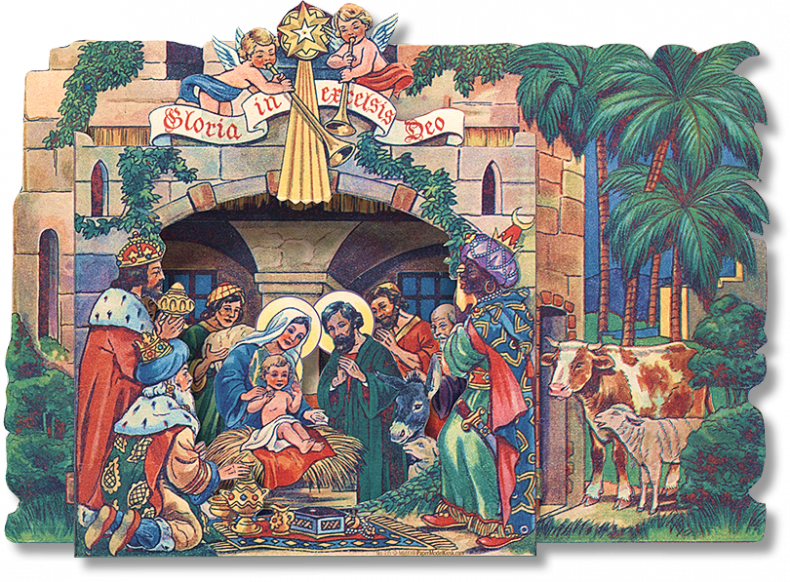 Print this colorful Free Download on three 8.5 x 11 pages, cut-out, and assemble the Christmas 2017 Crèche. Size: 9 x 6 x 1 inches.